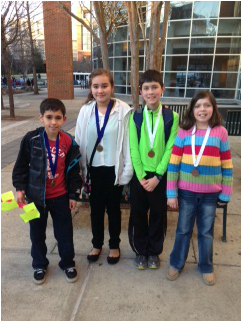 NAMS is proud to participate in the NC Science Olympiad competition. There are a variety of events, from building and launching bottle rockets to building and playing a musical instrument. Our first informational/interest meeting for Science Olympiad will be held September 8 from 3:30-4:30 with Ms. Smith and Mr. Hopkins, the coaches for this year!